Grand Canyon National Park is located entirely in northern Arizona. The park encompasses 277 miles of the Colorado River and adjacent uplands. One of the most spectacular examples of erosion anywhere in the world, the Grand Canyon is unmatched in the incomparable vistas it offers from both the north and south rims. The colors are ever changing throughout the day and the season. 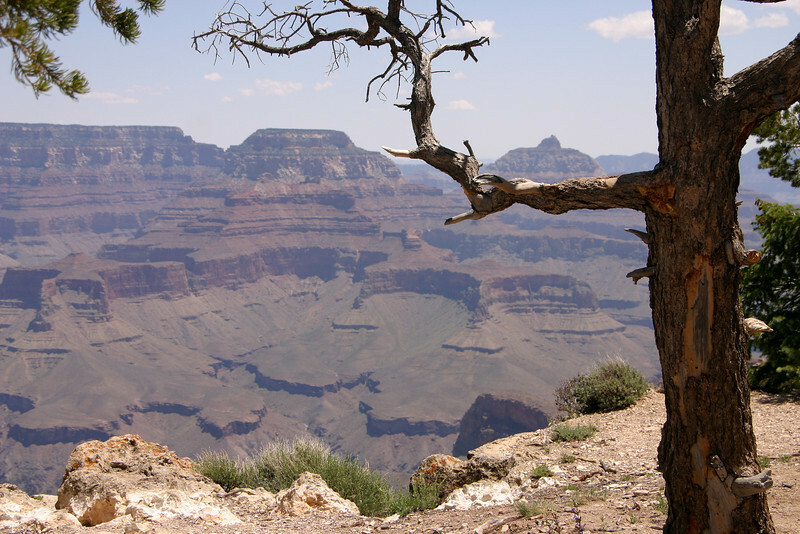 The North Rim is difficult to get to - about five hours from the South Rim but less crowded, cooler and more scenic. North Rim trails avoid the crowds and add forest hiking to the canyon views.